Bright, bold and functional - the Sorrento Tote Fiesta. 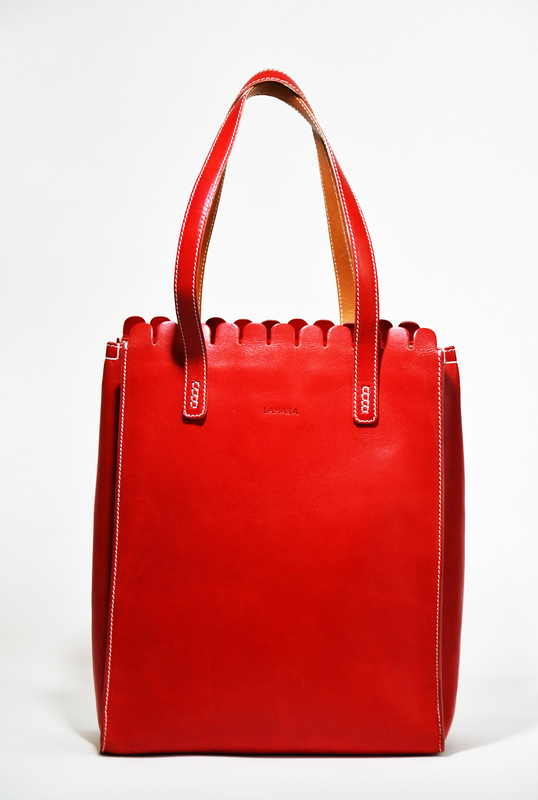 Wear it with a cute summer dress and use this tote to brighten everything up. certified vegetable tanned Vachetta leather from Tuscany, full-grain highest quality, aniline died showing the leather's natural surface. Striped cotton lining. All materials are 100% Italian. Beautiful and sustainable is what LAHARA is. With bags and accessories created with the upmost attention to detail, these products will be sure to last you a lifetime. The vibrancy of colours and patterns used in the designs reflect the Mediterranean architecture. Graduating from London College of Fashion, Laura-Theresa Von Hagen founded LAHARA in 2017 with an aim of creating playful, yet timeless designs for the everyday women. 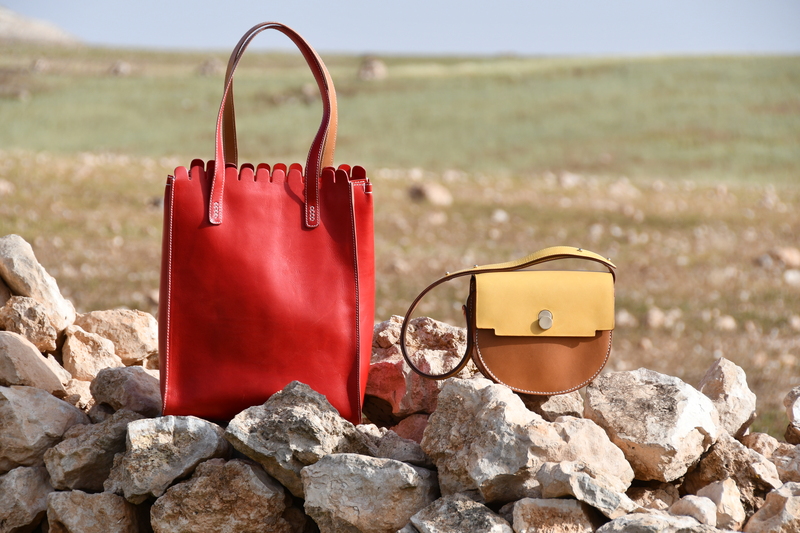 All products are made in Italy and she puts all its efforts into sustainable material sourcing and ethical manufacturing. 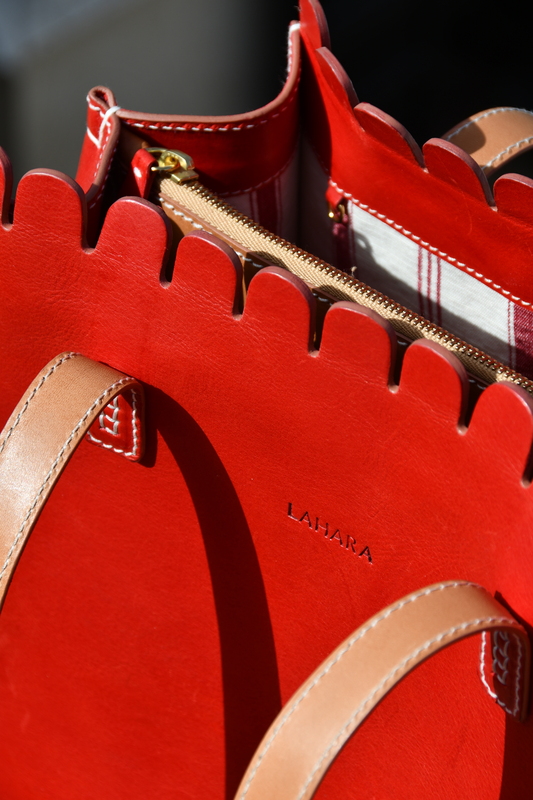 ‘It’s all in the stitch…’ That is the most important part of creating a LAHARA bag. Each product is carefully crafted by hand with the highest quality of raw materials. In turn, creating timeless looks without compromising style.